The Orange host West Virginia at home on Saturday in a matchup of two of the top teams in the Big East. The Dag Bag — What is the impact of Syracuse losing Fab Melo? Behold this stat line: 7.2 PPG, 5.7 RPG, 3.0 BPG That is the statistical void left in the wake of Fab Melo’s reported academic issues. No. 3/4 Syracuse (21-1, 8-1) defeated Cincinnati (15-6, 5-3) on Monday night, 60-53. It might have been the most important win of the season but the Orange’s performance wasn’t exactly impressive. Their effort was impressive but the overall play was not. But Syracuse showed its character by bouncing back after its first loss of the season to take down a very strong Cincinnati team in a hostile environment. A quick take on Syracuse’s 60-53 win against Cincinnati. Syracuse, fresh off its first loss of the season, will finish off its mini two-game road trip in Cincinnati. The Orange (20-1, 7-1 Big East) turned in an all-around flat performance at Notre Dame, losing 67-58. One of the biggest knocks on Syracuse all season is their lack of a go-to guy. 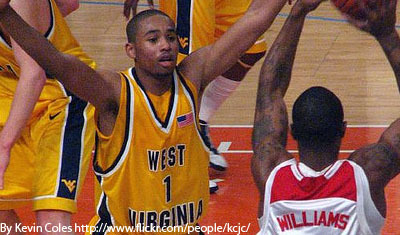 While Fab Melo certainly doesn’t fit that bill, he might just be the Orange’s most irreplaceable player. Melo didn’t travel with the team, reportedly due to academic issues and his absence proved costly as Syracuse’s undefeated season came to an end Saturday night. 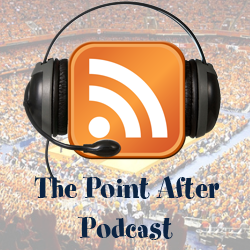 The Juice Online’s Micah Tannenbaum and Wesley Cheng to talk about Syracuse’s first loss of the season to Notre Dame and the suspension of Fab Melo in the latest edition of The Point After.